This delicious, crunchy, dry-roasted treat makes an ideal snack at only 100 calories per serving and packed with 9 grams of protein. Portion-controlled servings list nutritional information on each packet. Available in Chile Lime and Salted flavors. 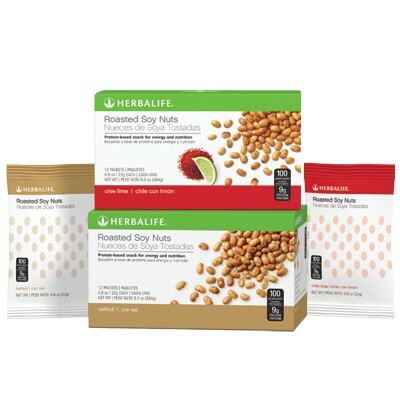 Enjoy one or two packets of nutritious Roasted Soy Nuts as a daily snack.